It’s rumored that Apple will skip the iPhone 7s this year and instead release the iPhone 8, breaking away from the tick-tock release pattern the company has been following since day one. Different reports also suggest that the iPhone 8 is going to pack a significant punch in pretty much every department you can think of. Till the big release day arrives though, we have concept artists to keep us appeased. 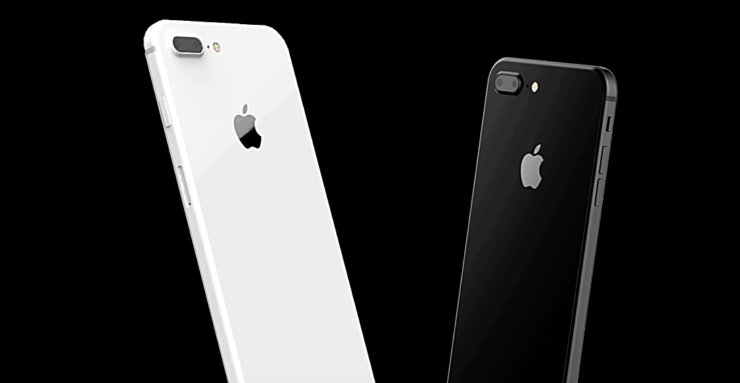 Today, we have a new iPhone 8 concept that is being labelled as the 10th Anniversary iPhone. It packs quite a bit of punch in the hardware department and brings forth a similar, yet new design. Check out the video of the concept below then we will dive into more details. The concept is envisioned with a 5.8-inch OLED display that curves around the sides of the phone. If you recall the Galaxy Note 7, then you know what we are dealing with here. In fact, I’ll go as far as saying that this concept takes a lot of inspiration from Samsung’s discontinued smartphone. The Home button is capacitive and Touch ID is integrated into the display of the smartphone, which is a pretty dope idea. But what about the chin at the bottom of the phone? Well, that’s a touch-sensitive panel now, enabling you to use different gestures to invoke an action. The device is imagined to be pretty thin as well at just 6.9mm, which also packing a smart connector as well as wireless charging capabilities. Probably the best feature about this concept is the material used in the body – Zirconia Ceramic. The designer behind this concept believes it’s the perfect material for the iPhone as it is extremely durable, lightweight and allows electronic waves to pass through easily. The last bit is important as it will result in better wireless connections. Last but not the least, the material is also heat resistant. It’s a great iPhone 8 concept without a doubt, but will Apple come up with something this year, or the next one? We can only speculate on that. Till that happens, there’s no stopping us from enjoying a good concept. Do let us know in the comments section what you think about this particular concept.